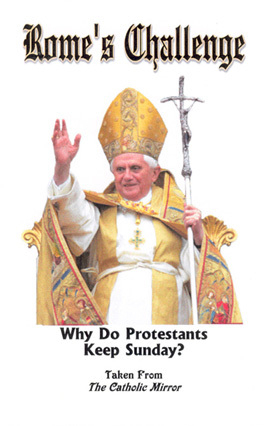 Why do Protestants keep Sunday? Rome's challenge to Protestants - 'your belief in Sunday sacredness is groundless, self-contradictory, and SUICIDAL!' First copy FREE, additional copies $.75 each + S/H.